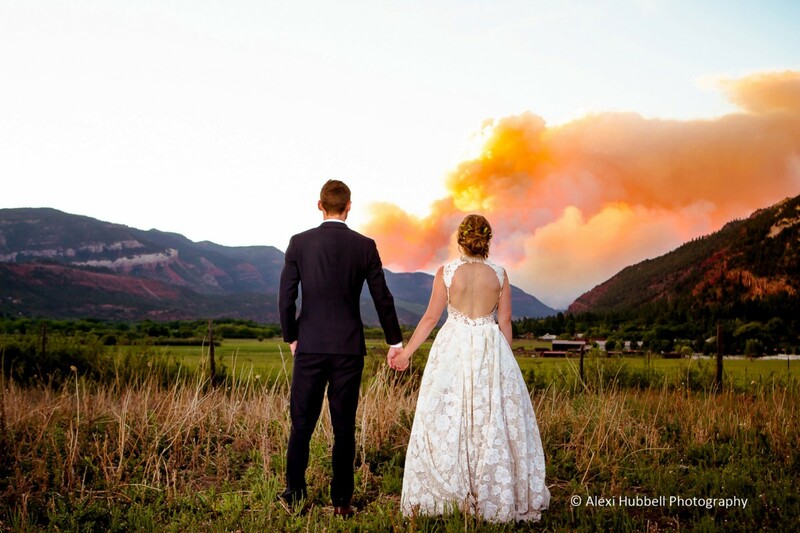 In the Fall of 2016, Anne Roos first captured our attention with her gentle manner and thoughtfulness when she inquired about membership in the Tahoe Wedding Industry Group. 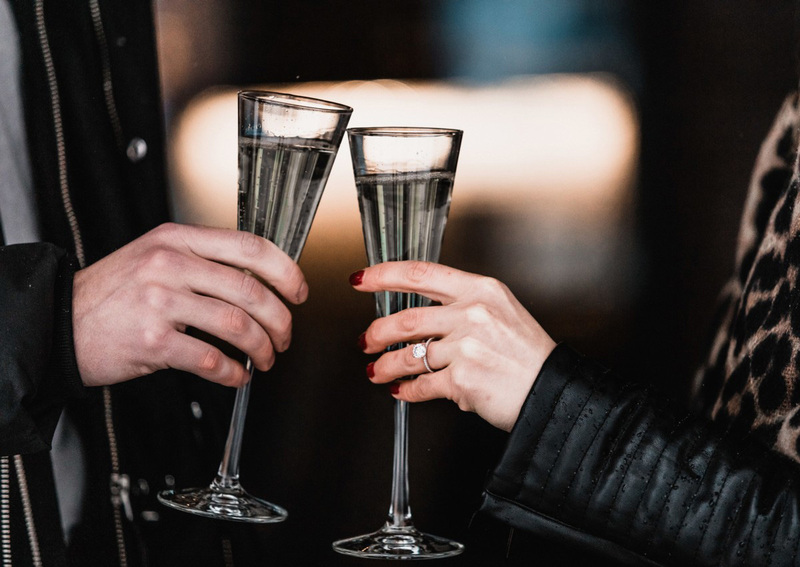 Within days, Anne had completed the rigorous membership application process, receiving the highest of accolades from former clients and wedding industry colleagues. 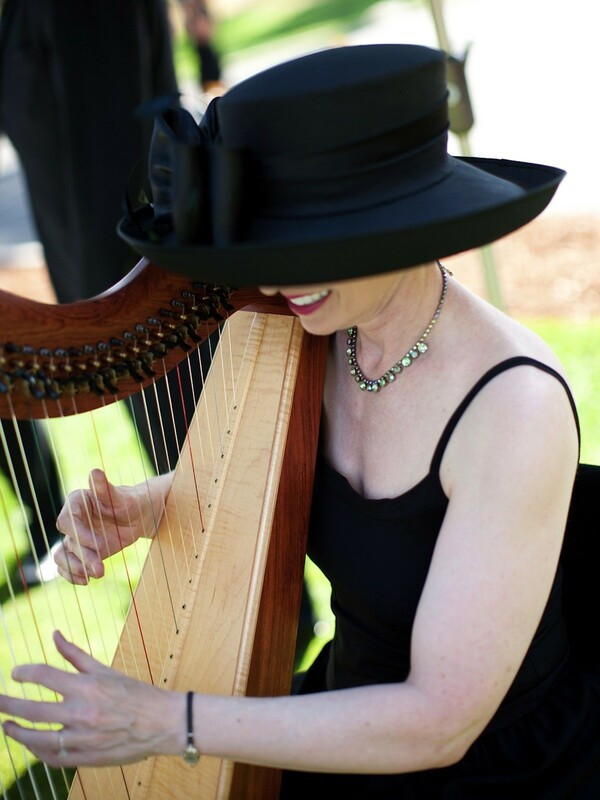 Who is this impeccable lady with the cool Celtic harp and gorgeous hats? The love of music was instilled in Anne at an early age, as her father frequently took her to summertime concerts at the Hollywood Bowl. 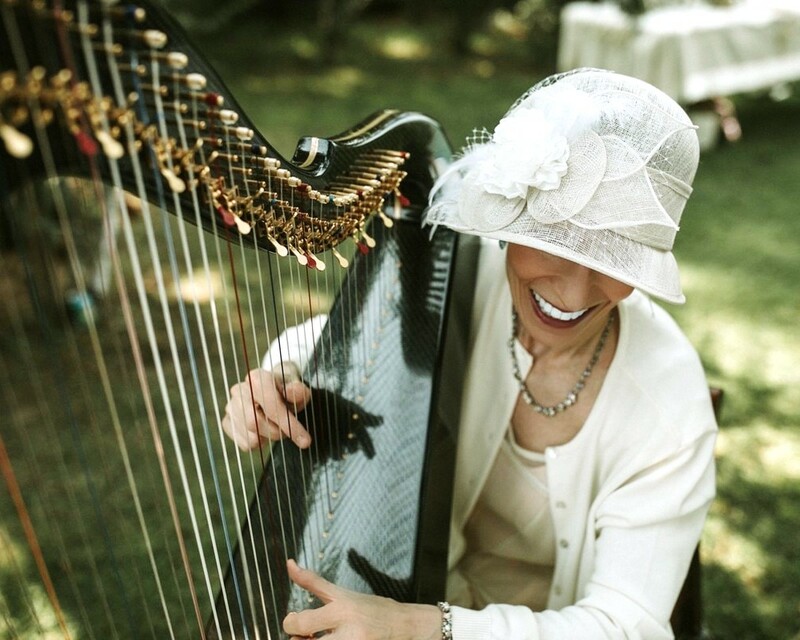 Anne recalls, “I have fond memories of experiencing the L.A. Philharmonic performing classical works, watching the bows of the stringed instruments rhythmically undulate up and down.” Professional musicianship also ran strong in relatives on her mother’s side of the family – a concert pianist, a jazz pianist, a guitarist, and another Celtic harpist in Israel. So it’s obvious that Anne was born to be a musician! 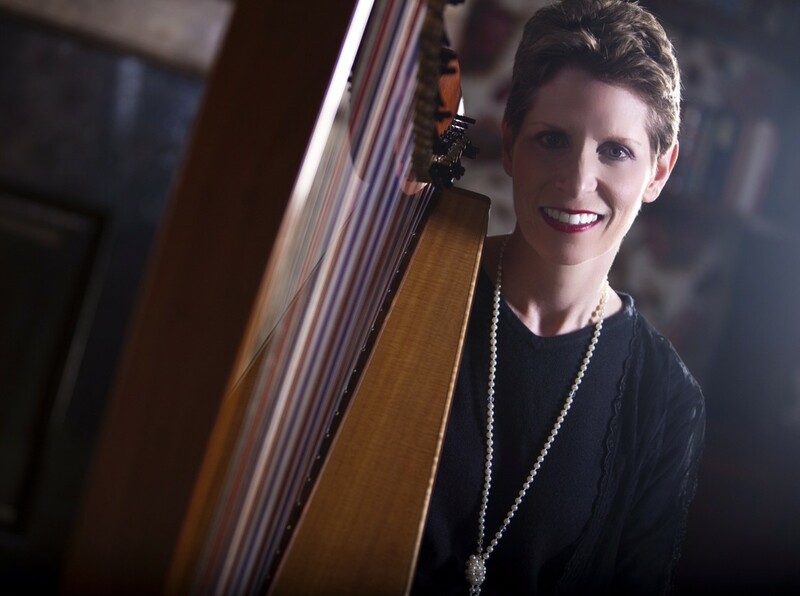 An important turning point in her life came when Anne attended a Winter Solstice Festival, which included an exhibit booth populated with all kinds of Celtic harps. The woman in the booth said, “If you want to learn to play, I can rent a harp out to you and teach you.” Anne remembers thinking to herself, “I have a stressful job. This is exactly what I need.” The rest is history, as Anne got hooked on the harp and her wedding business was born! 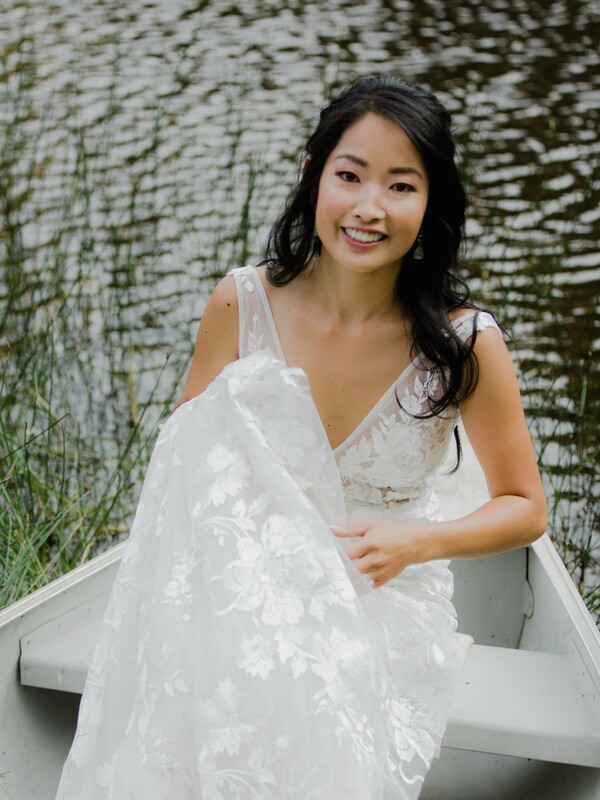 When asked what she loves most about working with wedding couples, Anne remarked: “I love the surprise element of creating music organically for weddings. The experience leaves everyone in amazement and touches their hearts in ways that the original recording of the same song can’t duplicate. Frequent feedback from guests is, ‘Wow! 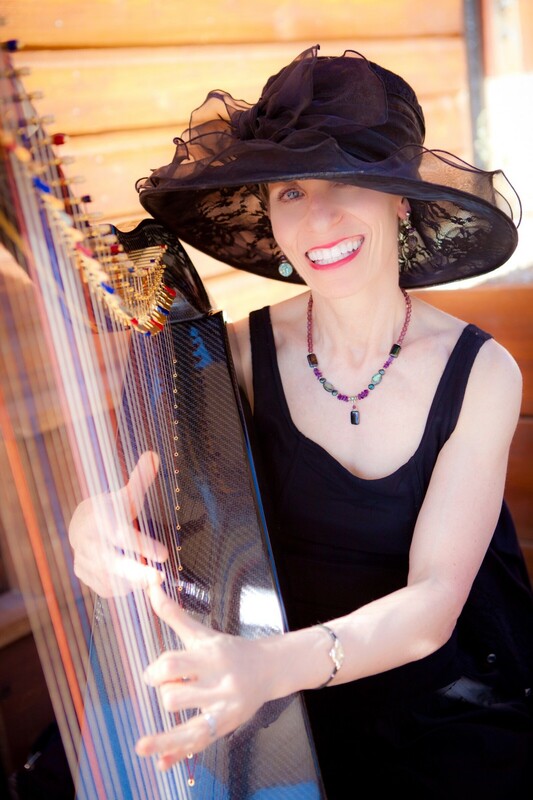 I didn’t know you could play THAT on the harp!’” From classical to Broadway, from Celtic to new age, from rock classics to heavy metal, Anne can do it all! So what should you do for your wedding? When guests first arrive at your wedding ceremony location, they are filled with anticipation for your big day ahead. But if they are greeted with dead silence, it’s an awkward feeling. That’s why it’s important to have music in the air, to set the tone for your ceremony. It signifies that “something special” is about to happen. Your ceremony venue may control the type of music selected for your auspicious occasion. If you are in a house of worship, you may be required to abide by strict rules and regulations. Check with your ceremony site before you have your heart set on a particular selection of music and musicians. On the other hand, if your ceremony site is in the great outdoors of the Lake Tahoe region, you may select just about any kind of music that you love. There are hundreds of options beyond “Here Comes the Bride,” so consider your favorite songs – whether Top 40’s or classics, just make it sing to you! The Prelude Music typically begins 30 minutes before the ceremony. For example, if your invitation indicates a four o’clock ceremony, begin your prelude music at 3:30 p.m. The music welcomes and entertains your guests as the excitement builds. Depending on the length of the songs, you will want to select up to ten pieces for your prelude music. The Processional Music is for the Wedding Party to make their grand entrance. This is where the “celebration” comes into play – you definitely want to get your guests’ attention. You typically will select three music pieces: one for your officiant, readers, and groom’s party; another selection for the bridesmaids; and a third selection for the bride’s magical moment as she walks down the aisle. During the Ceremony, you may have several opportunities to personalize your musical selections. You could have musicians playing if you choose to have a blending ritual or some other symbolic rite. Also, ask the musicians to play an interlude while readers are walking to and from their seats. Another great moment for music is immediately following your exchange of vows and rings. The Recessional Music is played when the wedding couple exits back down the aisle as newlyweds. Making this piece lively and celebratory is definitely the way to go. Your attendants and parents may or may not walk out to this same selection; if not, select two recessional pieces. The bucks you paid for ceremony musicians shouldn’t stop here – they should continue playing the Postlude Music as your guests continue to file out of their seats. Festive music should continue until all guests have departed the ceremony area. 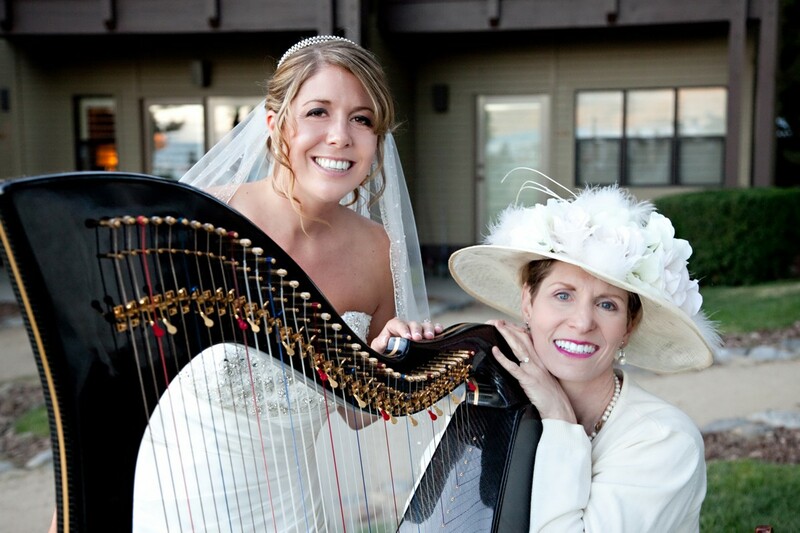 If you are planning to have live music for your Lake Tahoe wedding ceremony, please consider Anne Roos and her Celtic harp. Her versatility makes her the perfect choice for every wedding. And if you want to hear more, the harp harmonizes well with just about any instrument. Common choices are the flute, violin, and guitar, but Anne has also played with a piano, sax, percussion, and even a trumpet! Your selection of ceremony musicians is of course dependent upon your personal tastes. But in any case, music brings a sense of joy that amplifies the amazing experience of a wedding celebration. East Coast natives Jen and Max relocated to San Francisco to pursue their professional careers. In their spare time, they both love outdoor activities, especially skiing and snowboarding. 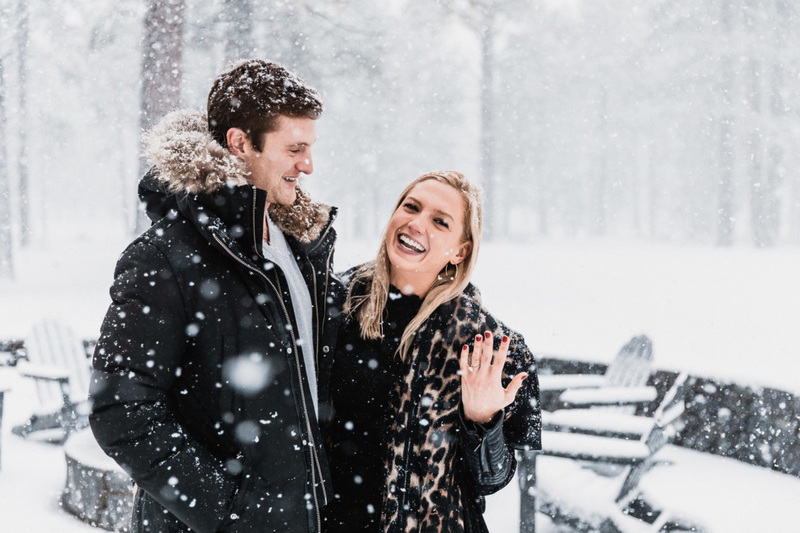 So when Max was ready to propose, he planned a wintertime trip to Lake Tahoe to pop the question. 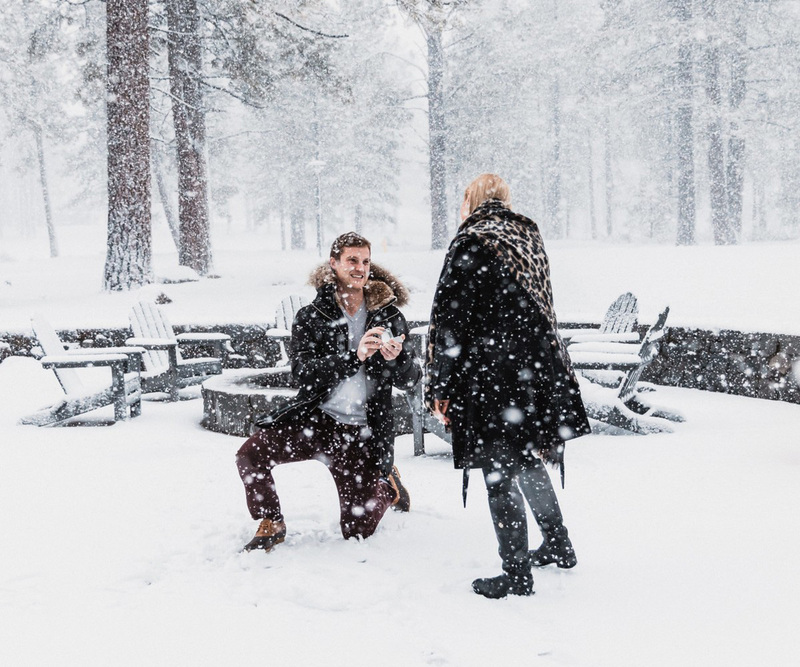 For this surprise proposal, the groom-to-be hired Marie-Louise Palmqvist, owner of Vild Photography, to capture the special moments on camera. “He didn’t plan to have a photographer there originally but decided it would be worth documenting,” says Palmqvist. 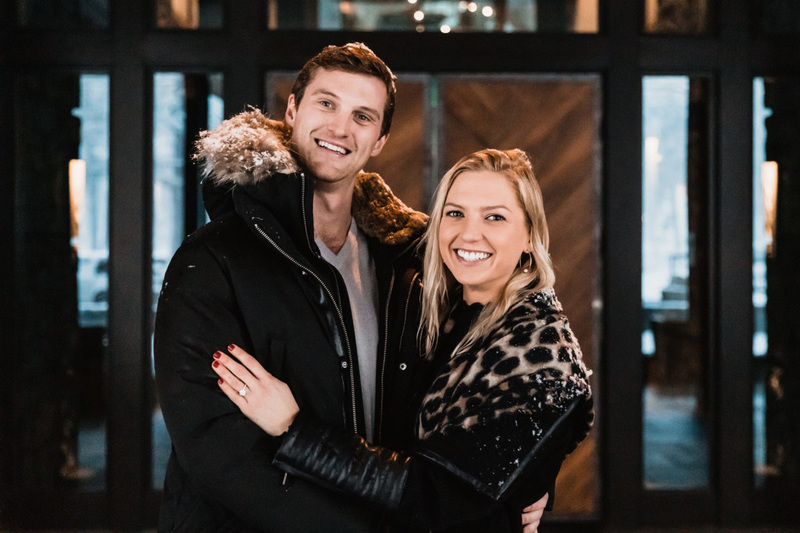 In addition to surprising his bride to be, Max had to contend with a surprise from Mother Nature – a huge snowstorm moving in. While snow in Tahoe is the norm, this particular storm was supposed to drop several feet of the white stuff, which meant that the lakeside view Max had originally planned would be a white-out. 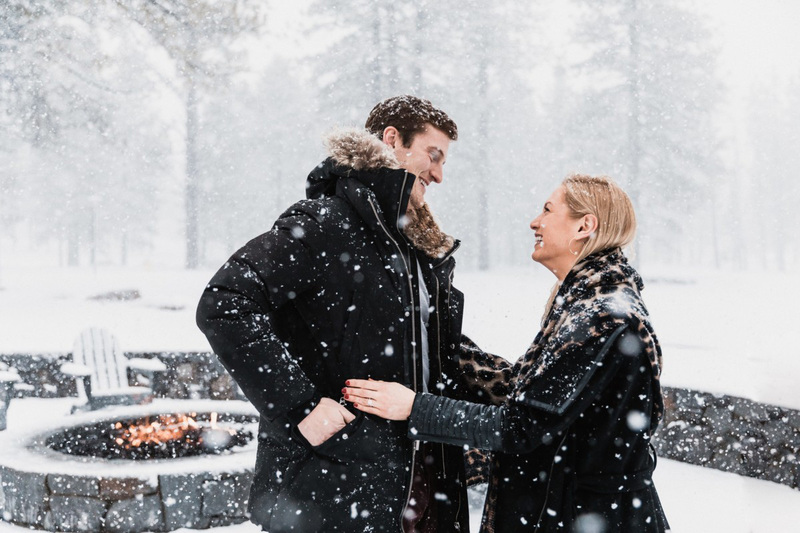 But Max knew he wanted to pop the question at Edgewood Tahoe since that’s where he and Jen were staying. Plamqvist helped him find a good spot that was easy to get to, beautiful and special. The photographer met with Max while Jen was in the Edgewood Spa, finishing up her hair for dinner. “That gave us a chance to show him the location we had in mind. It was all very quick and uncomplicated,” Palmqvist recalls. So, after a day of skiing and getting warmed back up in their room, the couple made their way to dinner. 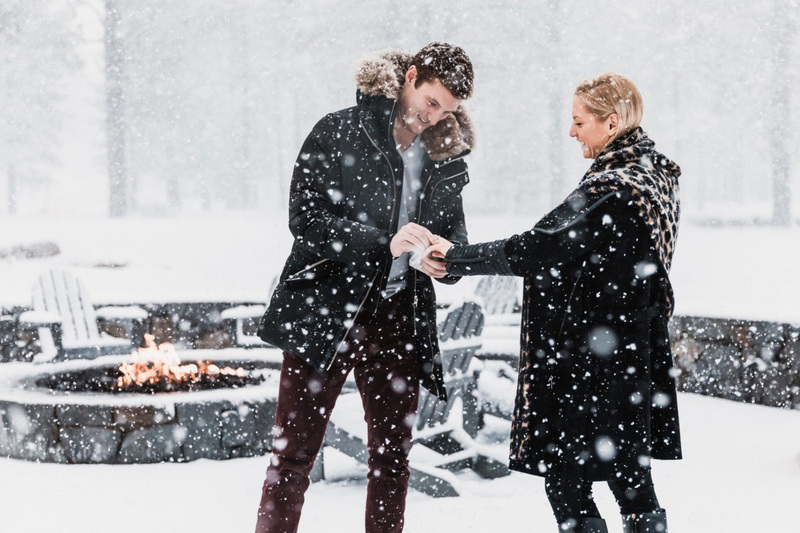 Along the way was a cozy outdoor fireplace, where Max dropped down on one knee and pulled out the ring. The proposal was a complete surprise. 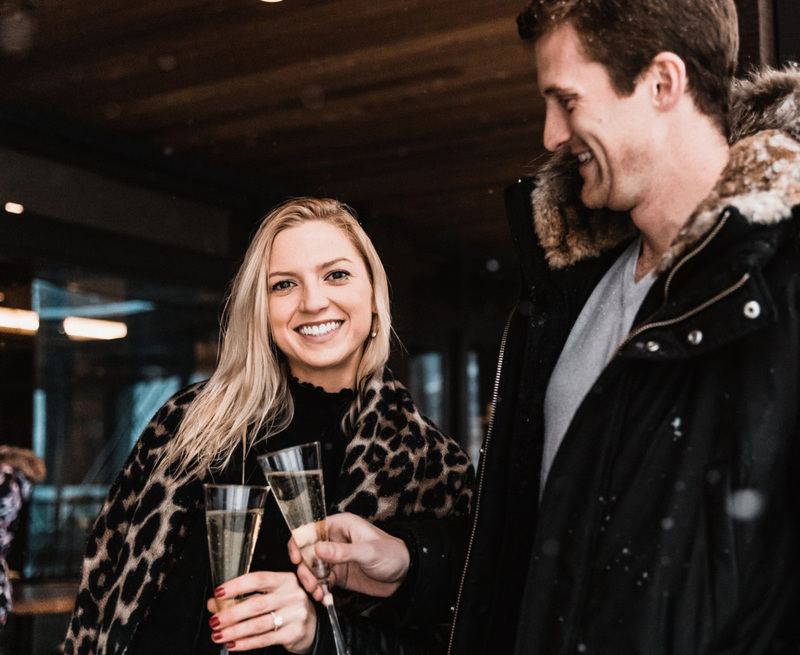 Afterwards, the newly engaged couple enjoyed a champagne toast inside the restaurant at Edgewood. The restaurant’s dark wood and black trim decor served as a great contrast to the rest of the snowy pictures. Jen and Max plan to return to their East Coast roots to get married. Our best wishes to the nearly-weds! 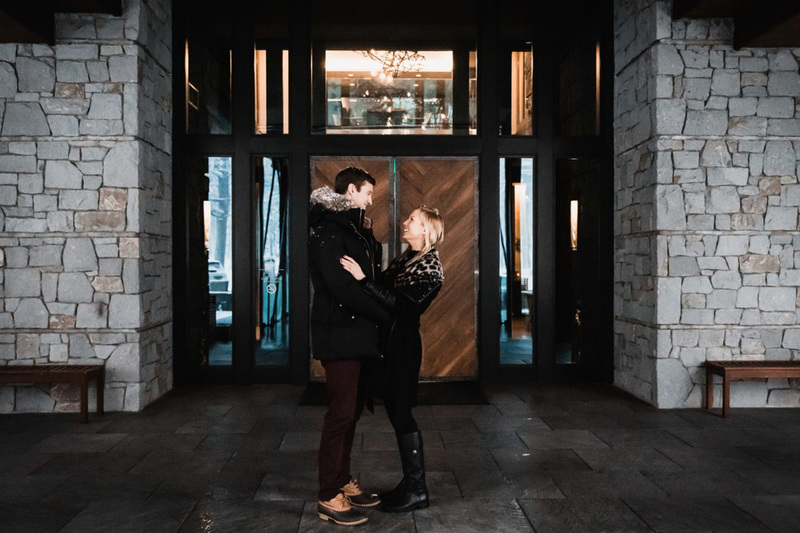 While it’s smart to keep things low key when planning a proposal, make sure you communicate your plans with key people, such as the hotel, server, photographer or any other vendors/people you’ll be working with. Every bride wants to look and feel beautiful on her wedding day. 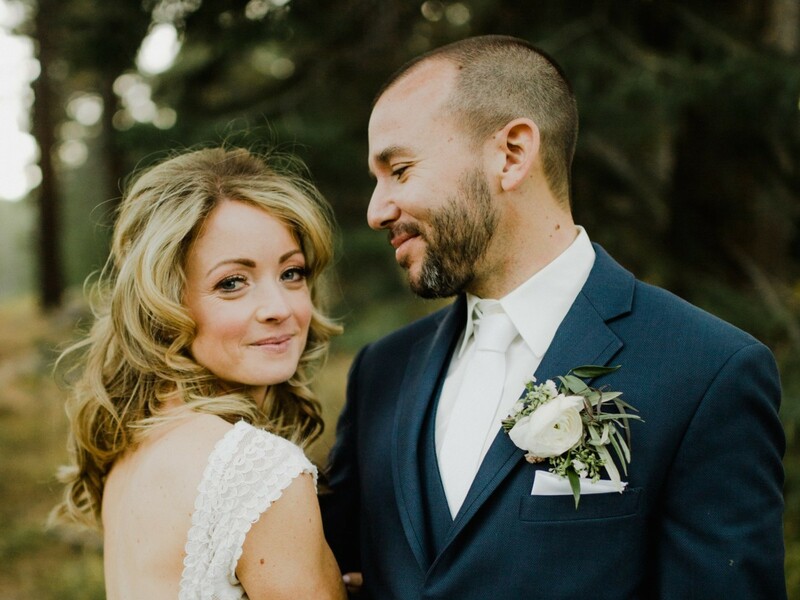 You will certainly want your hairstyling and makeup to hold up throughout the day while you’re enjoying the celebration (and while your photographer is snapping away). Since this is one of the most important days in your life, you should seek out the services of professional hairstylists and makeup artists, who have the skills and knowledge to make you look spectacular! Your attendants, your mom and future mother-in-law will also want to get their hair and makeup professionally done. In most cases, you’ll need to secure 1 hairstylist and 1 makeup artist for every 4 ladies in your group. It’s an amazing, fun experience spending this time together with your attendants and moms! But on your wedding day, you don’t want to be running all around Lake Tahoe to get your hair and makeup done. 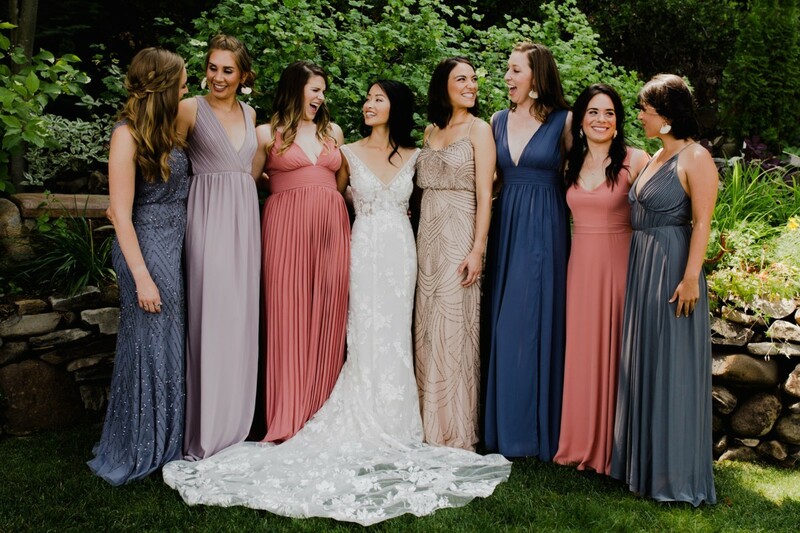 Tahoe Engaged recommends a full-service salon that can do both hair and makeup, and that can travel to the location where you and your bridal party are getting ready. It’s a super timesaver for them to come to you, because you can slip into your gown immediately afterwards, while your photographer and videographer capture every moment. You will want to find hairstylists and makeup artists that are state-licensed cosmetologists and aestheticians, and have a business license and business insurance. Licensed stylists and artists have been through many, many hours of training and certification. The right hairstylist and makeup artist will enhance your natural beauty, not cover you up with a mask. These beauty experts will help you truly look your very best on your wedding day. You may be wondering if makeup artists who work at department store cosmetics counters would be an appropriate cost-saving choice. Keep in mind that these people are not necessarily professional makeup artists and usually do not have a state cosmetologist license. Typically, they are trained only on the products that the stores carry, and are behind the counter primarily to sell the line of cosmetics they represent. They are generally not required to blend or create specific colors needed for a professional quality of makeup, and are limited to the colors and products they have in stock. On the other hand, seasoned makeup artists will have the skills and expertise that are beyond what most behind-the-counter artists are required to learn. The professional licensed makeup artist works with both professional makeup and consumer products, custom blending and color matching whenever necessary. Their goal is not to sell you more makeup, but to beautify your face on your wedding day. 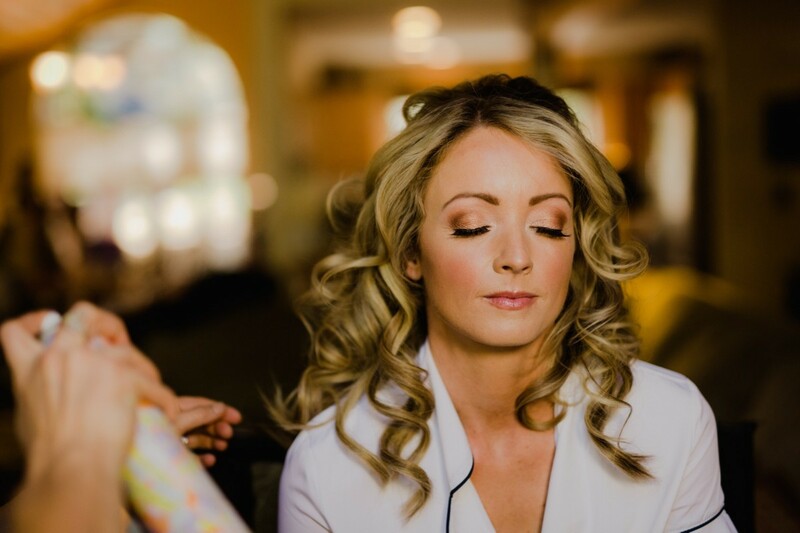 Having a relaxing, fun start to your wedding day is crucial, and your professional hair and makeup artist team will certainly get you off to the right start. 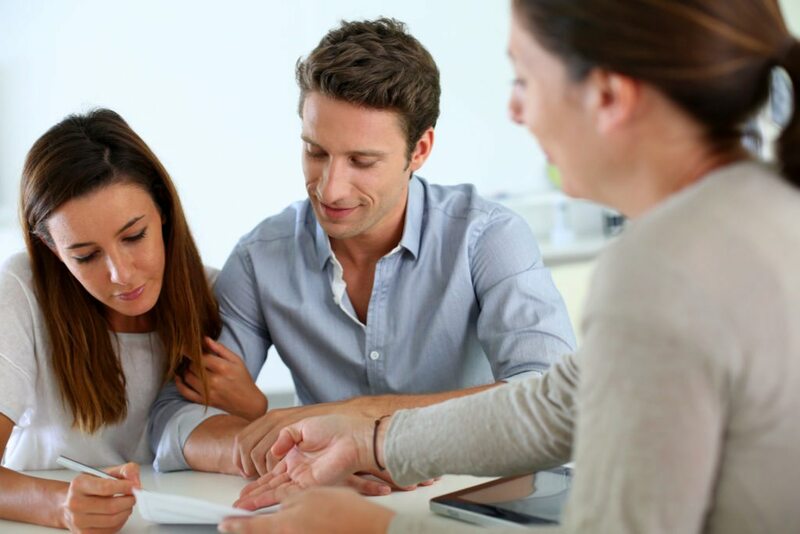 That’s why it’s important to choose wisely, with a team of professionals who understand punctually and timing – they will develop a detailed timeline of services for you. Without a professional team to help you, if your hair and makeup runs late and creates havoc and stress, it just might ruin your day! 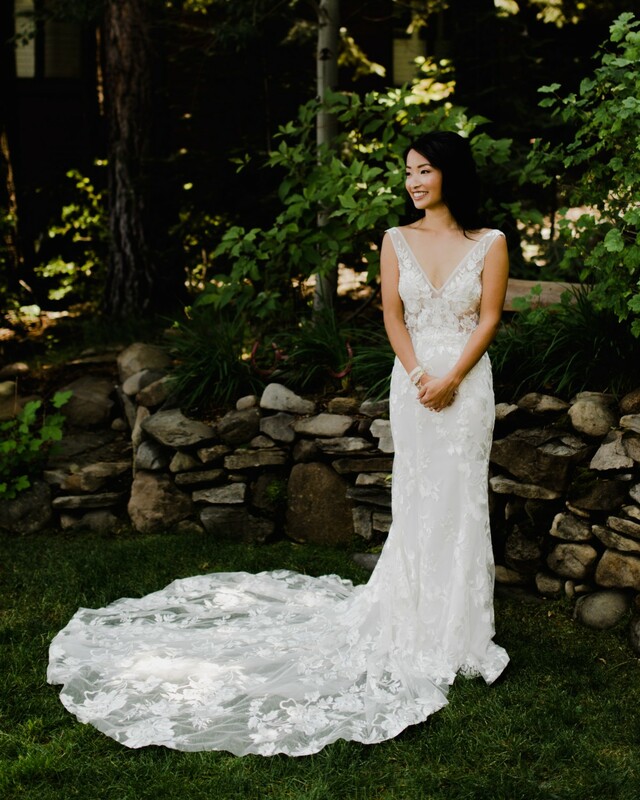 Tahoe Engaged believes in a flawless execution of hair and makeup, and we are here to guide you every step of the way. We highly recommend that you allow 45 minutes for each bridesmaid or mom to have her hair done, and 45 minutes each for makeup. For the bride, we recommend 1 hour to have your hair done, and 1 hour to have your makeup done. We prefer having hair done first, followed by makeup. The bride always goes last, so she looks freshest for photos. For more insights into the essentials of professional hair and makeup, Tahoe Engaged spoke with Michelle Campbell, Owner of Love Is In The Hair. With over 15 years in the beauty industry, Michelle has trained under Eufora Global, Kevin Murphy, Glo Cosmetics, Redken and MAC, along with several nationally recognized freelance artists. 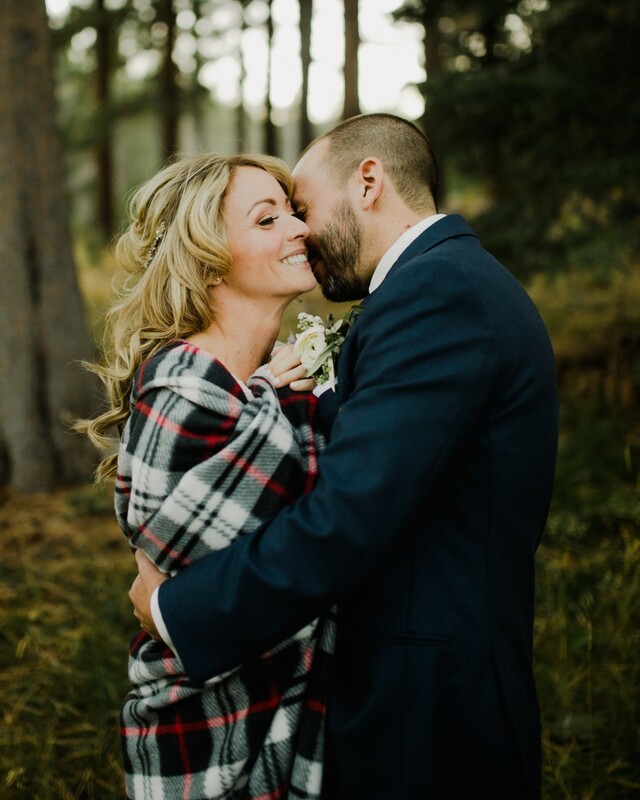 One of the top professional companies in Lake Tahoe for hairstyling and makeup artistry, Love Is In The Hair offers the best in fully mobile, on-location services. Each artist on Michelle’s team is handpicked, licensed/insured, and continually educated. 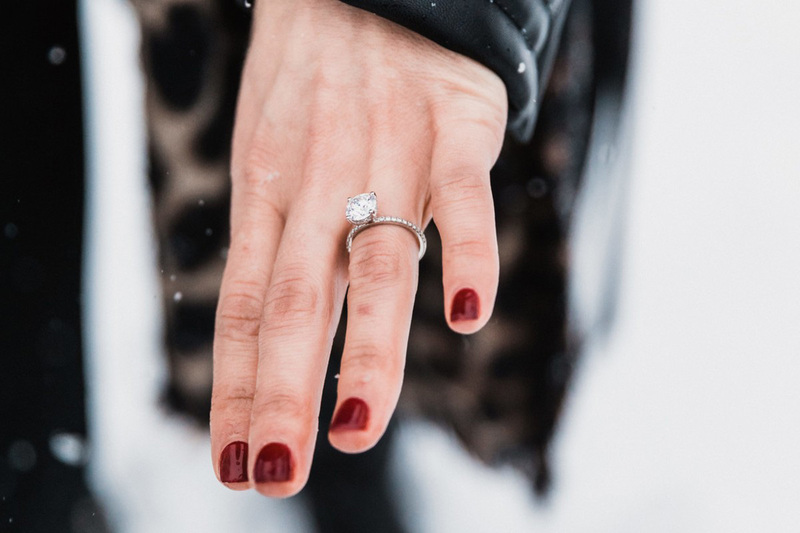 What beauty tips do you have for a bride-to-be who is newly engaged? Love Is In the Hair is a destination bridal beauty glam squad, but you will also need to assemble a local glam team and stick with them! Select one hair dresser, one aesthetician and one spray tan tech, etc. Don’t skip around town and try every beauty pro, you don’t want too many cooks in the kitchen. Allow time for your hometown pro to develop a haircare/skincare regimen, and stick to a schedule to allow time to work toward your beauty goals. Make sure NOT to introduce any new products or services in the weeks leading up to your wedding. Use the months leading up your big day to hone in on your beauty regimen. The last thing you want is to have a reaction to a new product or new services in the days leading up to your wedding or worst have an orange spray tan. 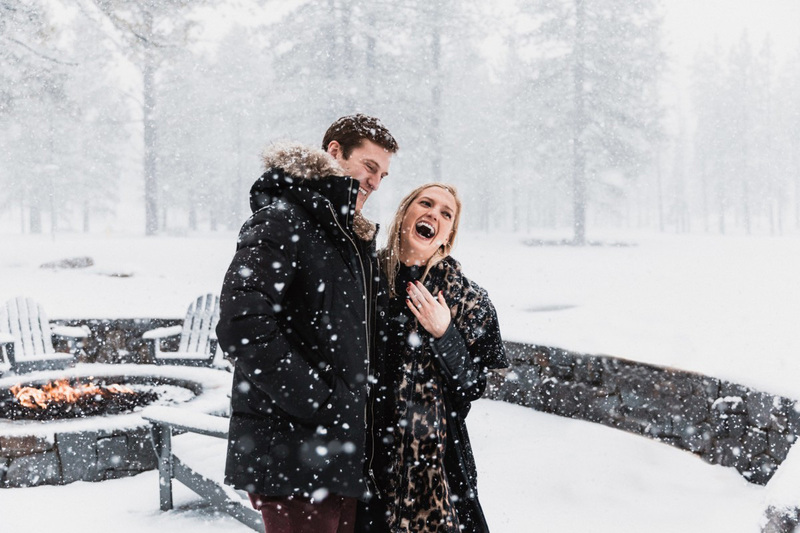 Once the couple has selected Lake Tahoe as the destination for their wedding, what should the bride do? Book a trial appointment. With Love Is In The Hair, the trial appointment is a great opportunity for us to get to know one another, for you to see how your hair and makeup will look on your wedding day. And it gives us a chance to look over your skin and hair. We also can determine if hair extensions need to be incorporated to achieve your desired hair style. Book this appointment up to three months prior to your wedding date. What else should the bride do as her wedding day approaches? Schedule pre-wedding day beauty appointments. We recommend booking hair color appointments 10-14 days prior to your wedding day to allow hair color to settle and blend. Don’t overlook the peach fuzz because the camera won’t! Squeeze one last facial in with your trusted skin care pro along with waxing appointments two weeks prior to your wedding. 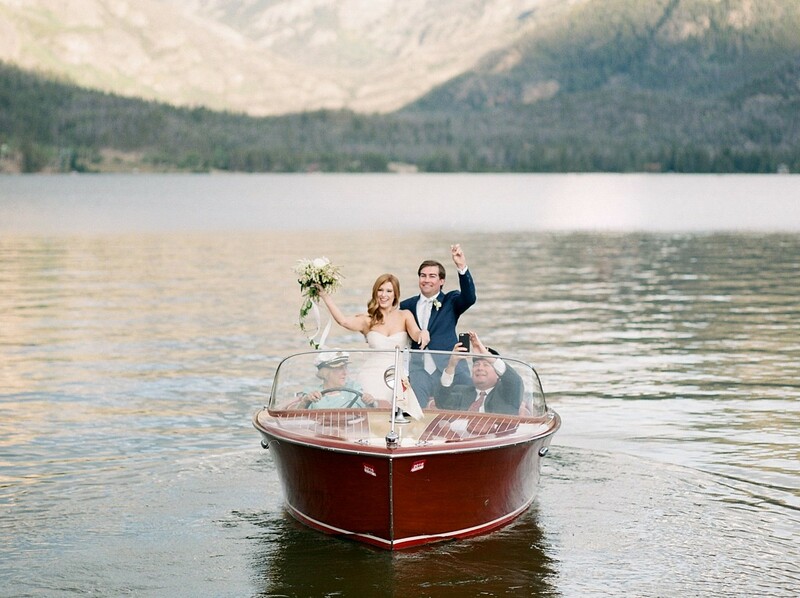 What about when the bride arrives in the Lake Tahoe region for her wedding? Be sure to stay hydrated especially at Lake Tahoe’s high elevation. We want to avoid dehydrated skin and lips because healthy hydrated skin equals youthful illumination and glow. 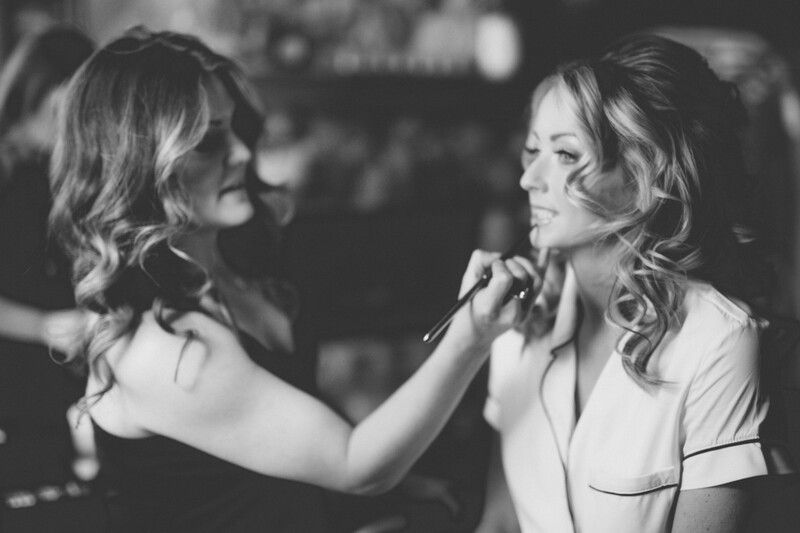 Are there any misconceptions about wedding day hair and make-up services? The most common misconception about wedding day hair is to arrive with dirty or day old hair. This is the exact opposite, please arrive with clean dry hair and let the beauty pros prep your hair with the proper products to ensure longevity to your wedding day style. Oftentimes dirty or day old hair has an excess of oil, weighing down the style or making the hair look greasy. Your wedding day pro will be able to properly evaluate your hair and prescribe just the right hair care cocktail for success. Any other advice for bridal beauty? Skin Care is EVERYTHING. Make sure you have major moisture in your skincare routine. Hydrated skin illuminates and radiates youthful beauty. Great makeup starts with great skincare. 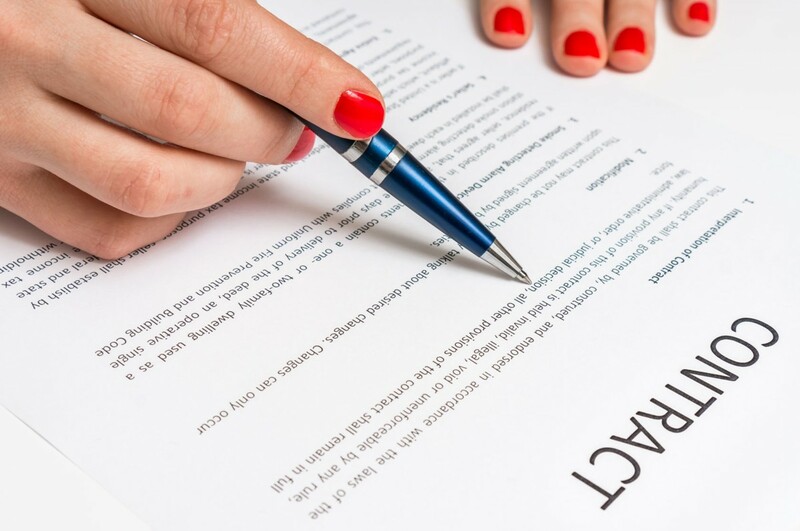 At Tahoe Engaged, we are your trusted confidante for wedding professionals that have been carefully vetted by submitting their references, business license and insurance. We are grateful to Michelle Campbell, a Tahoe Engaged member, for offering her professional advice to our readers. If you would like to learn more about her company, Love Is In The Hair, click here. As a Managing Member of the leading transportation company in the Lake Tahoe region, Danell Wilson-Perlman is always on the move. But she was kind enough to put the brakes on her busy schedule at Reno Tahoe Limousine and talk with Tahoe Engaged about her background and business. 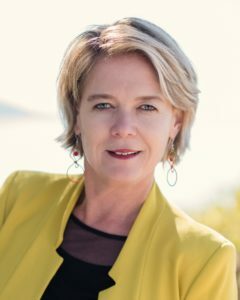 Danell brings amazing life experiences to the Reno – Lake Tahoe community, and she is a wealth of information about moving people in style. 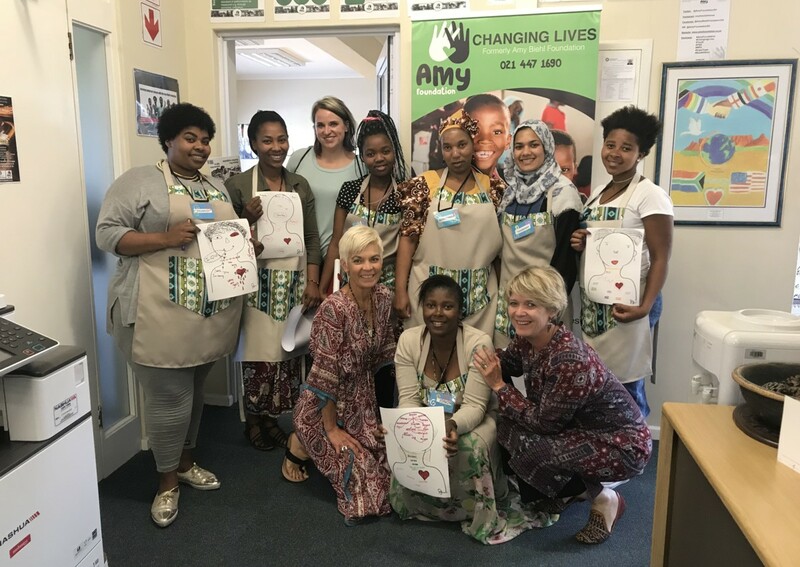 Born and raised on the southernmost tip of Africa, Danell started working at a local tourism office when she was 16 years old, and that’s when she began to dream about living overseas. After graduating from a college in Cape Town with a degree in Tourism and Travel Management, she landed a job in 1994 at the Royal Gorge Cross-Country Ski Resort near Soda Springs, and eventually was offered full-time employment there. In 1997, when Danell went to rent a car from a Truckee rental agency, she happened to meet the owner, Ron Perlman. She not only rented the car, but ended up marrying the owner! 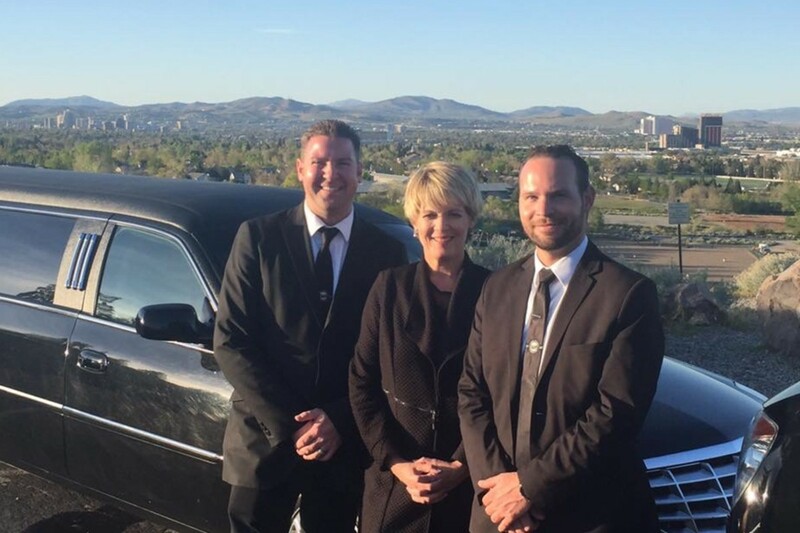 Danell and Ron are very proud of how they have built Reno Tahoe Limousine from the ground up to become a leader in the transportation industry. Wedding couples often have important concerns about getting their guests – and themselves – to their celebration, so we asked Danell to enlighten us all on the finer points of people-moving. 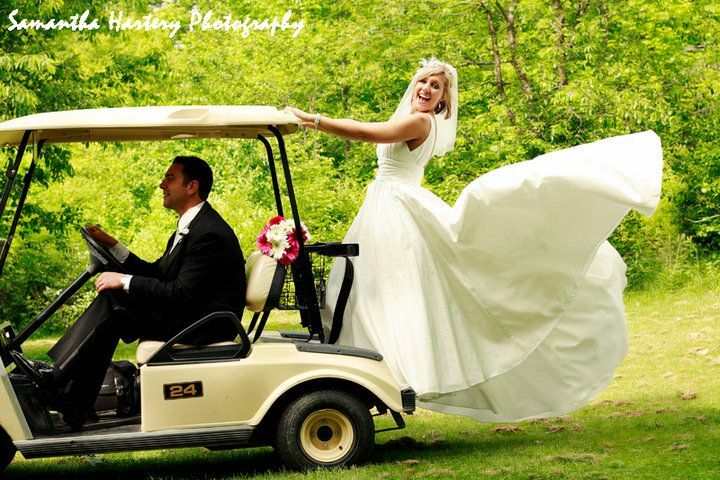 What are the most common issues you encounter when providing transportation for weddings? Timelines are crucial and it’s very important to realize that we are in larger vehicles and in commercial vehicles, so we cannot drive the speed of a race car. Our chauffeurs have to abide by strict rules – you have to account for traffic and for loading and unloading passengers. It all takes time. Summer in Tahoe on a Saturday, you have to account for major traffic delays. 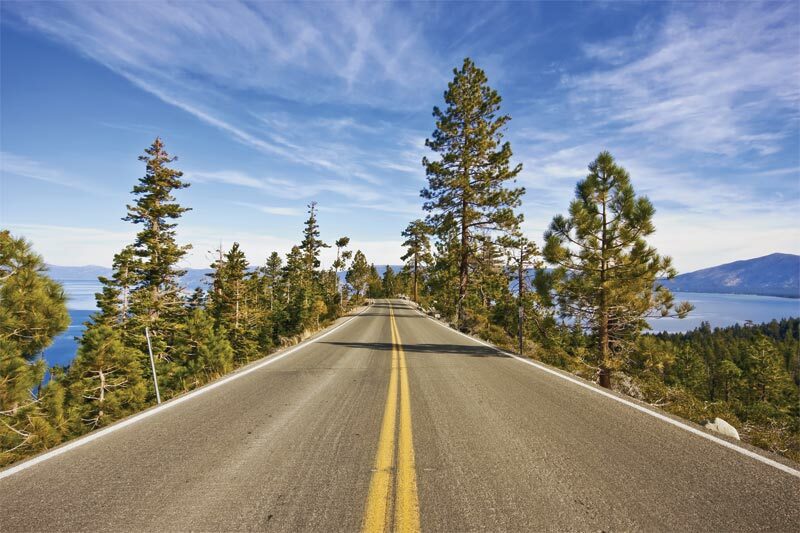 In winter, there is traffic between 3 p.m. and 6 p.m. from the ski resorts, and you cannot get around Emerald Bay. If the couple or planner is not familiar with the layout of the property, we will send one of our staff to go scout the location to make sure certain vehicles will fit in tight spots, turnaround areas, steep uphills or downgrades. Certain vehicles will bottom out, so you have to be mindful. During winter, can the vehicles get into the property with snow on the ground or do we have to drop at the street and have SUV’s shuttle them in and out? 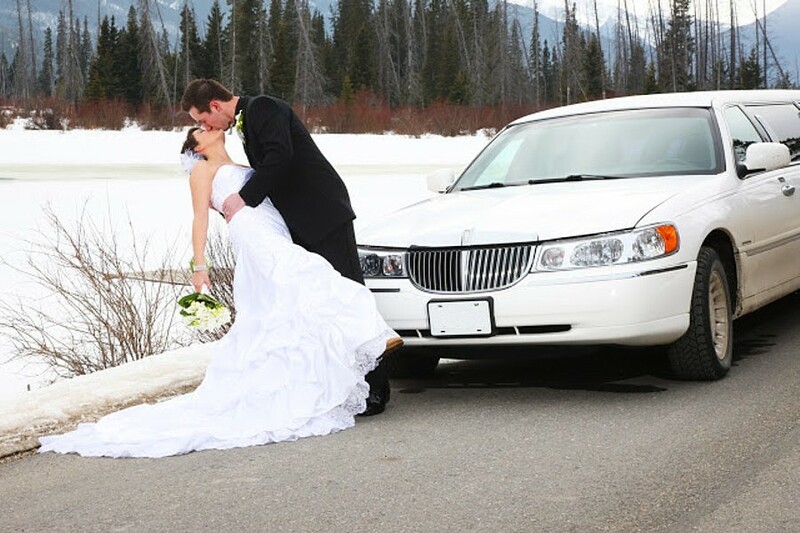 Are there any common misconceptions about wedding day transportation services? 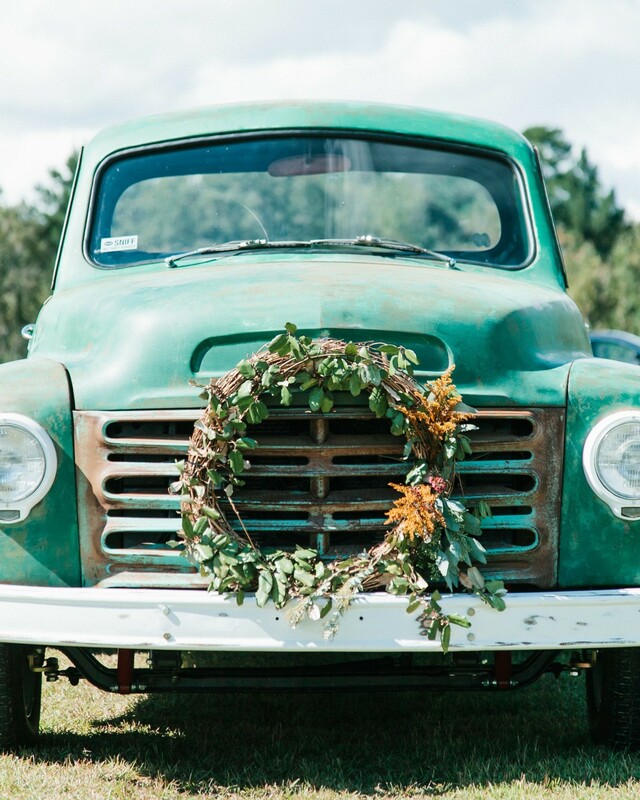 Transportation can make or break an event, that’s why it is such an important piece of the wedding day plans. We still have couples call the day of, looking for last minute transportation, because someone forgot to order car service. We have pulled it off many times, but it adds unnecessary stress on their wedding day. The idea that family members or friends will be their drivers for the day – that is a recipe for chaos. 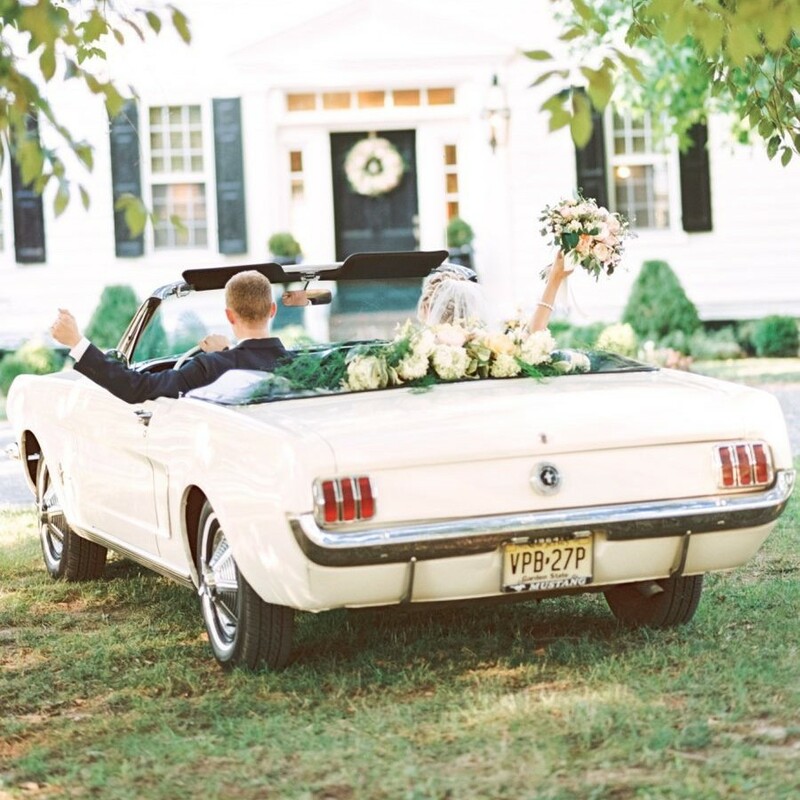 What things should couples ask about before booking their wedding transportation? First and foremost, they need to ask if they are licensed in the state that the couple will need transportation in. Ask for a certificate of insurance. Most commercial transportation companies these days carry $5 million, but they need to carry a minimum of $1.5 million if they are a commercial transportation vendor. Make sure their drivers are drug tested and are part of a drug testing consortium where they will also be randomly tested throughout the year and that background checks are done before they are hired by the company. What is the required uniform of their chauffeurs? This is super important, I’ve seen some scary outfits in this area before. During winter, they want to ask if their drivers have snow driving experience, this is important. Ask if it’s a coach, will your driver be able to chain during winter conditions? Finally, ask for testimonials from their clients which will include contact details. How do you keep up with the latest developments in transportation services? We attend the annual global limo and bus conference in Las Vegas to stay on top of trends. Our area is very unique and different than the large cities. The day of the stretch limo is done, unless you are based out of Vegas. Most weddings are using Mini Buses, SUV’s and Mercedes Benz Sprinters these days. Any other advice for wedding couples? Take transportation for your big day seriously and if you are moving large groups of people, make sure you have your wedding planner’s staff on the ground to help load and unload guest passengers onto the vehicles. Having ground staff is crucial when passengers are missing, and they can help make the process so much easier. 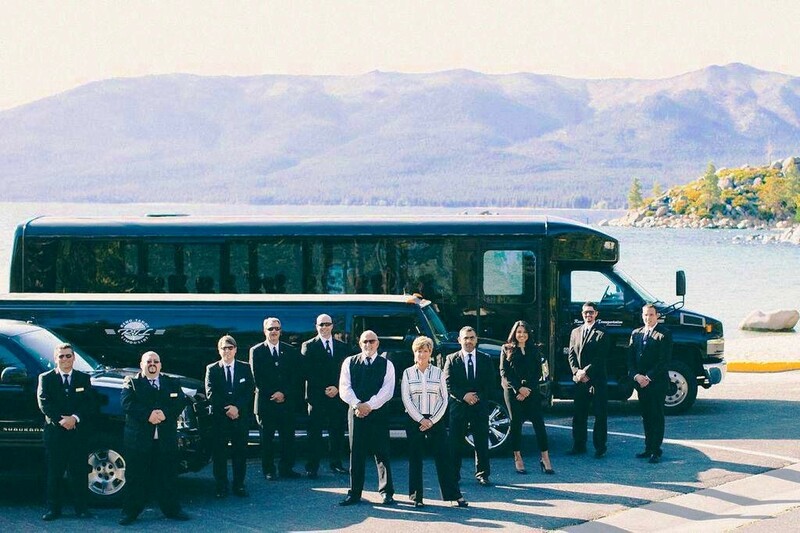 Reno Tahoe Limousine needs to be in communication with your wedding planner and we need to know if cell service will be an issue. So many times with remote areas, passengers are not at the addresses where they are supposed to be, or they are running late, the list is long, so the chauffeurs need to be able to be in constant contact with a planner. 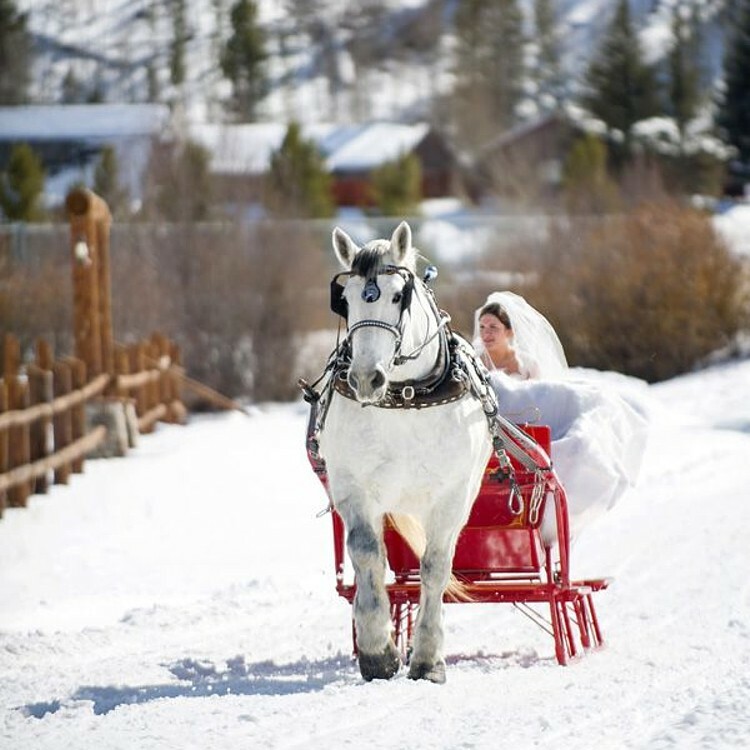 When you’re not working at Reno Tahoe Limousine, what other forms of transportation do you enjoy? I love horseback riding, taking long walks with our dog, and motorcycle trips with my husband during Spring and Summer. Also, I started a travel program to take women entrepreneurs to South Africa to collaborate and exchange with like-minded women entrepreneurs and see part of my beautiful homeland. So this keeps me busy, but it feeds my soul!